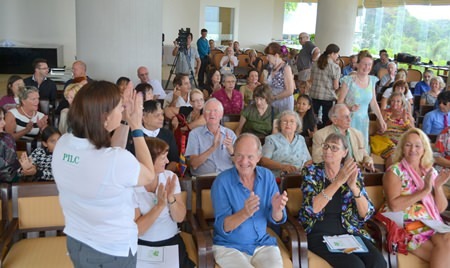 European stage and chamber pianist Regina Albrink charmed the Pattaya International Ladies Club with a performance of Schubert and Chopin during a recent visit to Pattaya. The Feb. 20 concert at the Royal Cliff Beach Resort allowed the audience to sit back, relax and listen to the colorful tunes, with the beautiful ocean in the background. 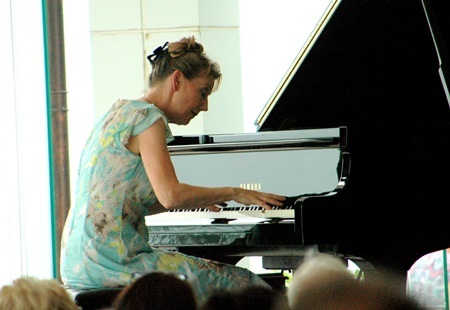 Regina Albrink gave a mezmeriziong performance of Schubert and Chopin masterpieces at the Feb. 20 concert. Albrink introduced all the musical pieces of the recital to her audience, explaining about the lives of the different composers and giving those in attendance a better understanding of the music. 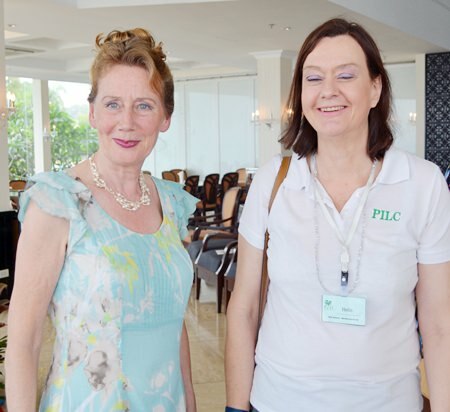 Regina Albrink (left) with PILC President Helle Rantsen. Actually the PILC, in cooperation with the Pattaya Classical Music Group and the Tiffany Show, are organizing a huge classical concert with the SSMS Orchestra on April 5 at 2 p.m. at the Tiffany Theater. All the proceeds from the concert will be given to PILC’s Hand to Hand charity fund. The audience gives rapturous applause at the conclusion of the recital. After the concert the audience was invited to enjoy a cup of coffee with the pianist and ask further questions and obtain CD autographs. “If Regina ever returns to Pattaya, PILC is ready to organize a new concert and to say welcome to all music lovers in Pattaya,” Rantsen said.